Trademark symbols are crucial to any business campaign. They are valuable company assets, identifying and distinguishing products or services from the competition. They also protect consumers and businesses from imitators and scams. On the other hand, however, they can offset the benefits of their intended purpose, as well. As we will see, trademark symbols can make or break any business’ reputation. 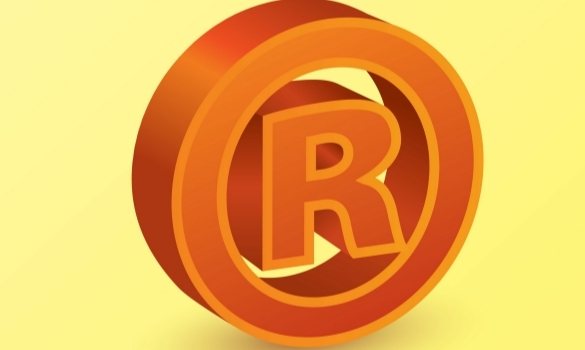 For businesses in almost every industry, trademark symbols have a lot of benefits. They provide protection and security for ideas, products and services. Especially for major tech IPOs, this is essential in order to safeguard any individual or business intellectual property. Trademark symbols also serve the important purpose of communicating to customers, informing them about the exclusivity of the business products or services. This obviously works as a badge of quality for customers, making trademark symbols quite valuable for any business campaign. Therefore, trademark symbols certainly have considerable utility in helping a business gain formidable brand value and attain its marketing goals. Nevertheless, it is always important to note their proper usage. While, trademark symbols like “TM” or “SM”, can be used widely, registered symbols have to be certified by the US Patent and Trademark Office. The violations in case of registered trademark symbols can result in serious consequences on account of misleading the consumers. Of course, trademark symbols should be used in proper context authentically. When it comes to proper usage of the trademark symbol, there is often a lot of confusion surrounding the use of a trademark symbol versus a registered symbol. Here is the breakdown. The TM symbol can be used by a business absolutely whenever they feel like it. There is no need to file paperwork. However, it helps to let other businesses know that you consider that mark to be yours alone. The registered symbol, frequently seen as an R enclosed in a circle, can only be used after filing the proper paperwork. The registered symbol indicates that the US government has granted your business a federal certificate registering that particular item. This is the big difference in trademark versus registered, and it is vital for business owners to be aware of, whether you start a business in your home or own a large corporation. Furthermore, trademark symbols provide only a limited marketing advantage to businesses. They might add value to the business products or services, but their overuse might actually prove to be detrimental in certain cases. It should be used appropriately with the business slogans. Frequent use of the trademark symbol can prove to be confusing for the consumers, greatly diminishing the overall visual appeal of the brand logo. This would invalidate the marketing purpose of trademark symbols. However, a simple, legible use of the trademark symbol works wonders for any brand. Be sure to keep it simple. Trademark symbols greatly enhance the brand value of business products, while encouraging dynamic competition within the industry. They are a vital part of the importance of branding for your business. They are also crucial in promoting consumer freedom, leading to a healthy brand growth. However, their benefits can also be out done by their uninformed use. So, in order to capitalize on the benefits of trademark symbols, understanding their regulatory specifications and optimal marketing functionality is a necessity. Once you have received a certificate from the federal government, you can take advantage of the regulated laws of trademarks. Using the R symbol, you must display it on all of your goods and services. Otherwise, it might not be upheld in a trademark infringement case. In order to prevent another party from claiming that they were unaware of the trademark, the symbol should be actively displayed by the registered company. This way, your business can have a protected brand with a registered trademark symbol.